Consumers have been aware for years that smoking cigarettes can lead to lung cancer. While awareness of the issue has led to declines in overall lung cancer rates, experts say one particular type of lung cancer called adenocarcinoma has continued to flourish – and now they may know why. Dr. Peter Shields, from The Ohio State University Comprehensive Cancer Center, says that the small holes on the filters of many cigarettes increase risk of adenocarcinoma. “Adenocarcinoma, which is today the most common type of lung cancer, is continuing to increase. There is mounting evidence that tiny holes found near the filter of certain cigarettes are largely to blame,” he said. The findings may come as a bit of a shock to smokers of light cigarettes who believed that the filters on their preferred products made them safer. 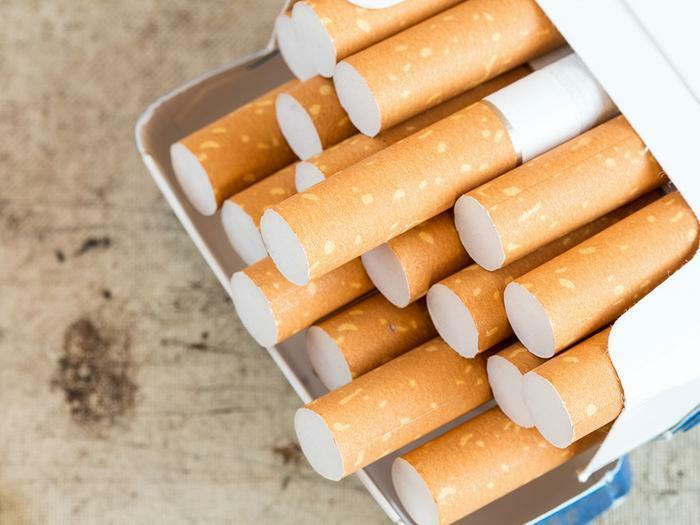 Experts point out that the tiny holes on these products were originally intended to give cigarettes a smoother taste and to make consumers think that the products were less harmful. However, Shields says that isn’t the case. “The public health community thought that those holes might a good thing originally. Unfortunately, it’s becoming clear there are some consequences with the design that make cigarettes more dangerous and cause people to die in increasing numbers,” he said. The increased danger, he explains, is due to the fact that the holes allow the cigarette to burn slower and at a lower temperature. And, because the smoke is diluted with more air, smokers who use these cigarettes are also more likely to inhale more deeply and force more toxic chemicals into their lungs. The researchers are now urging lawmakers to consider placing more regulations on “filtered” cigarettes to reduce the number of adenocarcinoma cases. “We think there is enough evidence now that the Food and Drug Administration can ban the holes that encircle the filters in an effort to protect consumers, and in doing so, help drive down the number of cases and deaths from lung cancer,” Shields said. The full study has been published in Journal of the National Cancer Institute.